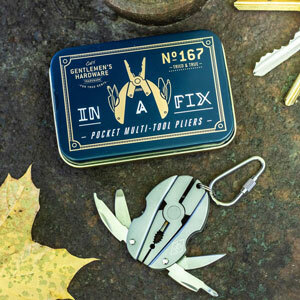 The Fishing Multi-Tool combines essential bits of fishing. 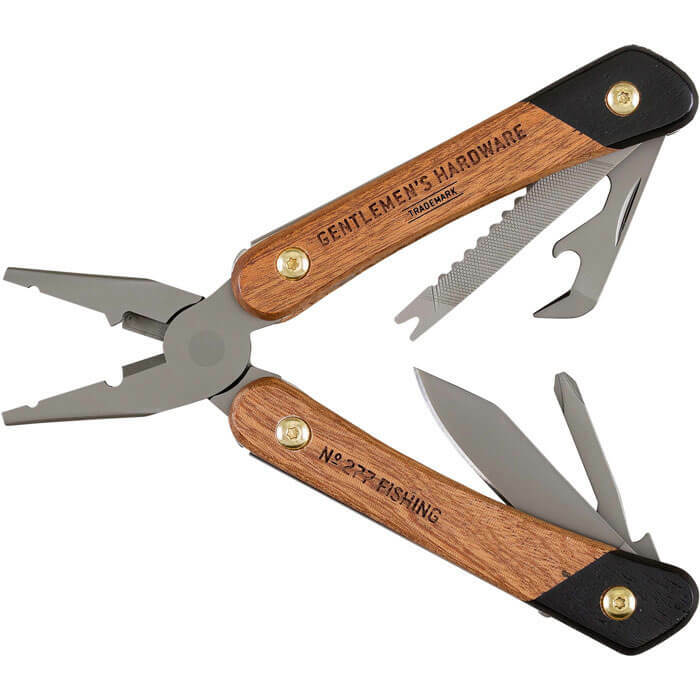 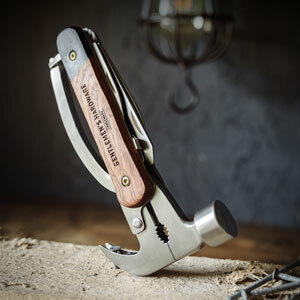 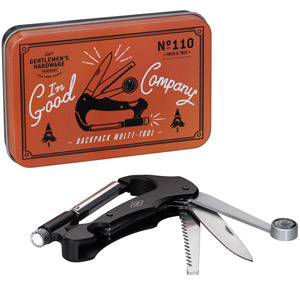 This gadget includes a needlenose pliers, a shot splitter, a line cutter, a knife, a fish scaler and an hook remover, a screwdriver and a bottle opener. 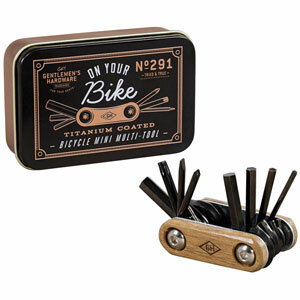 It has smooth acacia wood handles and all tools are coated in scratch-resistant titanium. 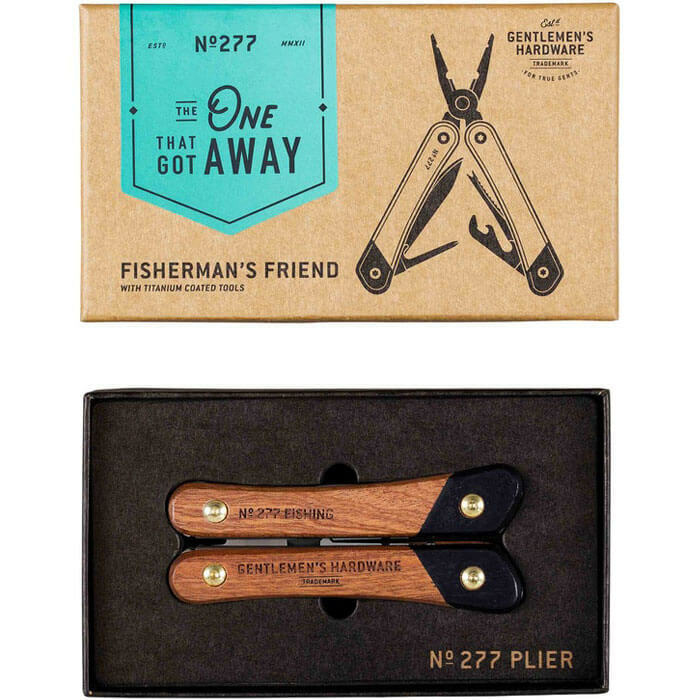 Get ready to reel them in! 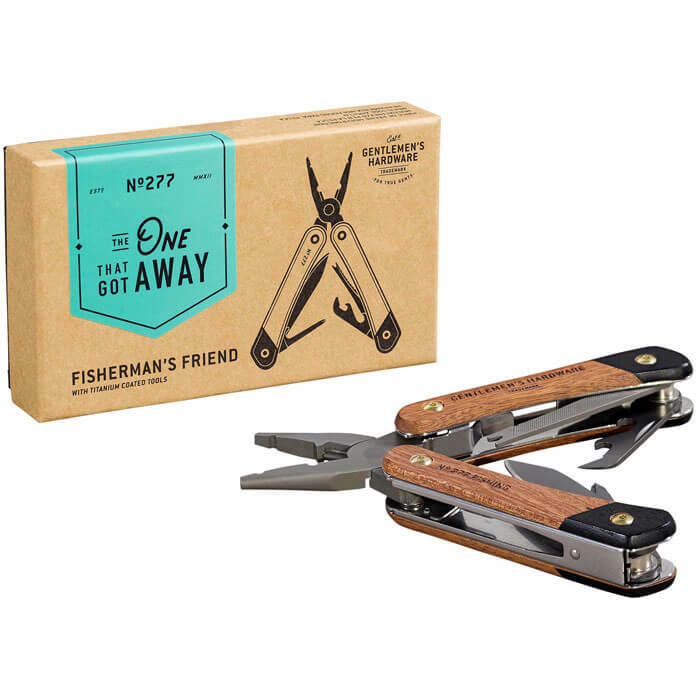 Comes in a branded box.